How a dedicated team converted a 90-year-old heritage structure into a benchmark for environment-friendly buildings. As early as in the late 1880s, Jamsetji Tata, legendary founder of the Tata Group, had thought of getting hydroelectric power to the city, then called Bombay because he wanted the residents to breathe clean air. He was aware of the diseases textile workers in Manchester were prone to due to inhaling smoke from coal-based power plants. Says F.N. Subedar, Chief Operating Officer (COO), Tata Sons: "In the 19th century, he was thinking about an issue, clean energy, with which we are grappling even today." 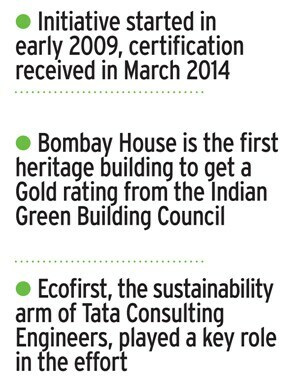 It is not surprising then that the headquarters of the $96.79-billion Tata Group, the building known as Bombay House, which was completed in 1924, became in March, the first heritage structure in the country to get a gold rating as a green, environmentally friendly building. 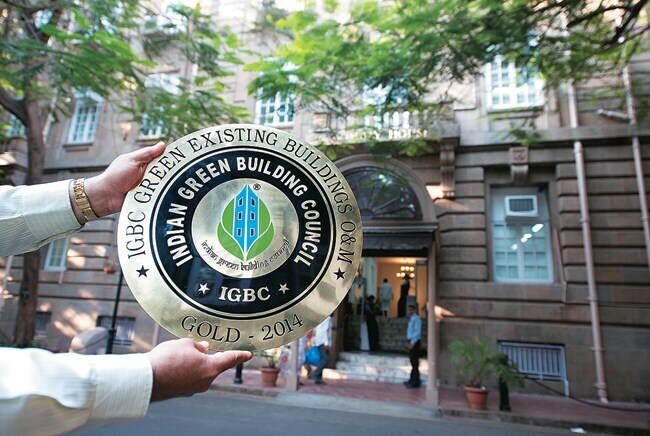 The rating, following an audit, is awarded by the Indian Green Building Council (IGBC), the Indian chapter of the US Green Building Council. Keeping the environment clean has always mattered to the Tatas. Subedar says the Tata commitment to maintaining heritage buildings was demonstrated earlier in 1989, when the group renovated and upgraded another south Mumbai property it owned. The entire building had been rented out ages back and the Tatas earned a pittance of Rs 5,000 per month as rent from it, but that did not matter. "What we spent on the renovation was several multiples of that amount," says Subedar. The building in question is located on a 2,365-square-yard plot bought it 1904 after the then offices of the group, located in different parts of south Mumbai, began to prove too small. The last major change it saw was in 1942, when it got an additional fourth floor - which the Tata Sons chairman - effective head of the entire group - occupies. "There has been change happening with continuity, but no drastic one time change. We do not want to lose the essential character of this building," says Subedar. The need to preserve the past was in fact the major challenge while introducing the changes needed for green building certification. "The challenges are higher when a heritage and existing building goes in for green certification as nobody wants to change the faÃ§ade," says S. Raghupathy, Director, IGBC. "Getting appropriate materials becomes difficult and so does implementing measures to achieve high energy efficiency." The key company involved was Ecofirst Services, a subsidiary of Tata Consulting Engineers and one of the latest acquisitions of the group, which was already engaged in sustainability initiatives. It accelerated the greening efforts the Tatas had already begun from 2009. There were compulsions that triggered the effort. "The fact that from 2011 we were not supposed to use the gas Freon as a refrigerant, as well as other regulations relating to fire protection and air conditioning pushed the change," says Freddy P. Talati, CEO of The Associated Building Co., the Tata outfit that owns Bombay House. But there were constraints too. "With a heritage building you do not know its load bearing capacity. The faÃ§ade also has to be kept intact so major changes cannot be made," says Chitranjan Kaushik, COO, Ecofirst Services. It also involved a mindset change for the employees. "There is a widespread practice in offices: once you switch something on, you don't switch it off till you leave," adds Talati. That could not go on. The first step he took was to replace all the bulbs and light fixtures, putting in the more energy efficient LED lights. Not only that, since he was buying in bulk, he negotiated to get the warranty period for the lights extended to five years from the usual one year. "That was a saving of almost 50 per cent," he says. Sensors were also installed with the lights, which led to bigger savings. Subedar says one night when he was working late, he noticed that the lights in a restroom he passed on his way out were still on, though employees had all left. "The next day I asked Freddy (Talati) why he did not tell the security staff to switch off the lights after a particular hour. Freddy went a step further and said he would install sensor based lights, which would go off or on depending on whether there were people using the restrooms or not. I thought he was being a bit too futuristic but actually it works." Bombay House's location, in a narrow lane, also proved a problem. It opens directly on to the road, with no compound wall around it, so landscaping - a mandatory requirement for green buildings - was out of question. But there was a way around it. "Several gardens in Mumbai have been maintained by the Tata trusts for more than 75 years," says Rakesh Bhatia, Vice President, Ecofirst. "We highlighted this to the IGBC and it granted us the points reserved for landscaping." Maintaining internal air quality as per the requisite levels was a tall order as well. "We found the windows would never open and the air-conditioning system never took in fresh air," says Kaushik. "We had to devise a system to get in fresh air." So what was done? "We made a duct which goes in at the top and every day our building management system tells us what the quality of the air is like, so that levels of carbon dioxide are known and enough fresh air is provided," says Talati. Bringing in fresh air meant more expenditure on cooling, but for the Tatas it was money well spent. The air-conditioning ducts were made fungus and algae free by installing an ozone system to clean them. To save water, low flow fixtures had to be installed in all the restrooms. This was by no means a simple task. "Strict guidelines were given pointing out that the tiles in the restrooms were also heritage tiles and even if one of them is broken in the process, replacing it will be difficult," says Bhatia. Given the space constraint, rainwater harvesting was another challenge. "We could not have a tank outside the building, nor could we have one in the basement." The solution? Rainwater is collected from other sources and pumped up to an overhead tank at Bombay House. Finally, there was the question of energy use - much of it had to be from renewable sources. Once again, installing solar photo voltaic panels on the roof was a problem. 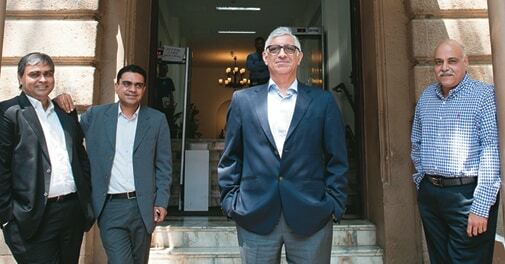 "Putting that kind of load on the building was not possible," adds Bhatia. But there was a way out - buying renewable energy certificates from the market. The team turned to Tata Power, which was already trading in RECs, and an arrangement was finalised. 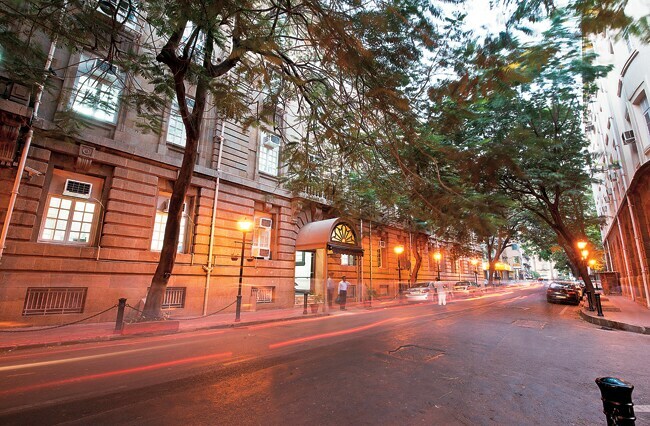 Currently, 75 per cent of power used at Bombay House is renewable energy. Subedar admits that all these initiatives do have an additional recurring cost, but the team showed him the saving it was bringing about. In 2009, before the greening began, Bombay House was consuming 1.85 million units of electricity annually - by 2014, it is down to 1.25 million. At Rs 15 per unit, that is a saving of Rs 90 lakh. Nor is this the end. Ecofirst is now working to make the 100-acre Tata Institute of Social Sciences in Hyderabad a sustainable development project. As for Bombay House there is a further peak to scale with still more energy saving - the platinum rating.